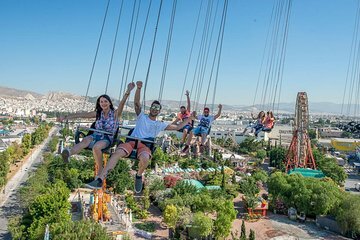 Get your thrills with an all-day admission ticket to Athens’ Allou Fun Park. Enjoy access to nearly everything the park offers—a giant Ferris wheel, a virtual reality ride, a log-raft water slide, a haunted house with live actors, and a range of adrenaline-pumping experiences. Kids five and up will enjoy a tot-friendly carousel, the “Toto Express” train, a bounce house, and other age-appropriate games during this family-friendly outing.